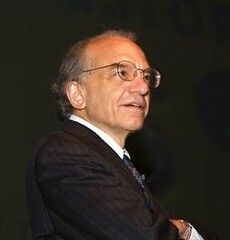 He is the author of the much-celebrated Stocks for the Long Run. He has long advocated on behalf of stock market investing. And yes, even in the midst of The Great Recession, Jeremy Siegel still believes that stocks are the best investment for the long run. When Siegel, Wharton’s Russell E. Palmer Professor of Finance, spoke to Wharton alumni on Saturday morning as part of the School’s 2010 Reunion Weekend, his message was simple and clear: Stocks are still the answer. History bears that out, Siegel said. As he told his audience, from 1802 until 2009, the average real return on stocks was 6.6 percent per year, after inflation. Bonds returned 3.6 percent. Bills returned 2.8 percent. And gold? A measly 0.5 percent. The value of stocks is not limited to the United States, either. After Siegel published Stocks for the Long Run, a team of British researchers used similar methodology to study returns in more than 16 other countries. The results? Stocks vastly outperformed other asset classes there as well. Thank you Dr. Siegel. Way too many people right now trying to win battles and forgetting about the war.